Facing the icy winter riding with grim determination? 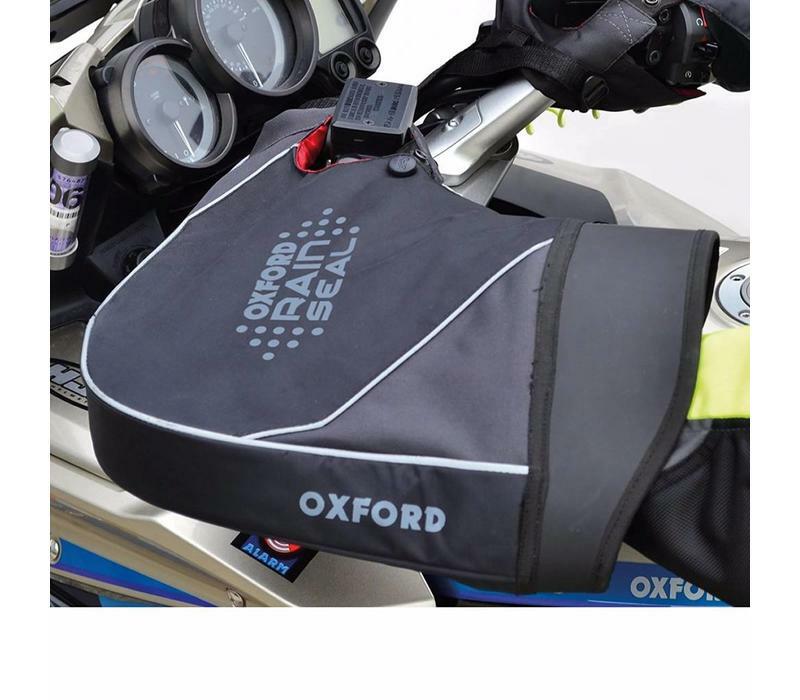 Add some comfort to the cold with Oxford's RainSeal Handlebar Muffs. Easily mounted to most any motorcycle's handlebars, the RainSeal muffs add weather and temperature protection for those chilly winter rides. A pouch on the inside allows you to add Oxford Electric Hothands for added warmth! Pre-formed opening for ease of access to controls. 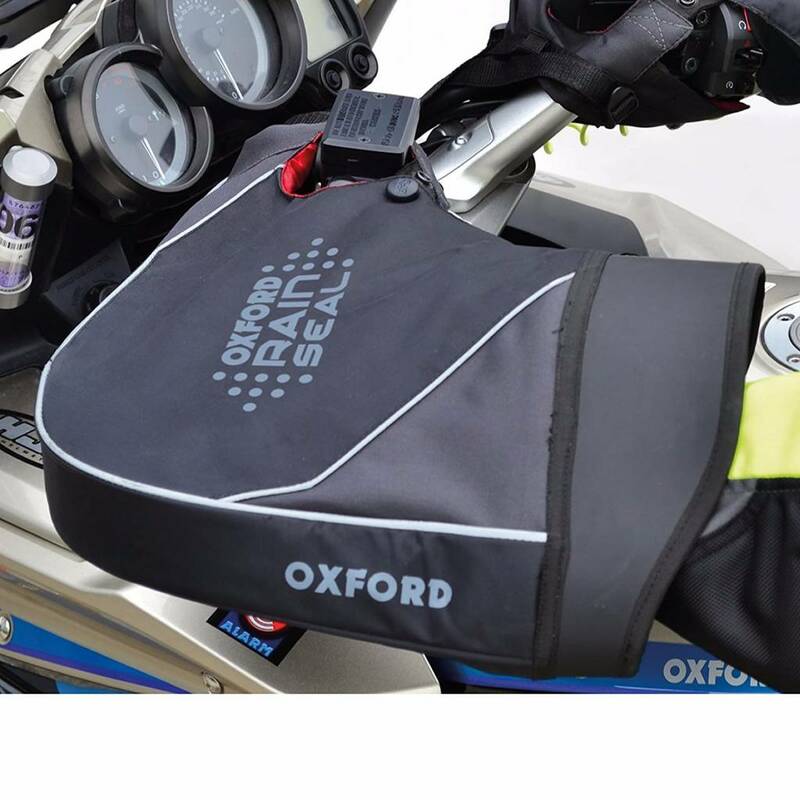 When using the Oxford Muffs on motorcycles with handguards installed, you may find you need to remove the guards to achieve a proper fit. With some full wrap handguards such as Barkbusters you can remove just the plastics, and not the entire guard. In some cases the mirror stem cut out on the Oxford Muffs does not line up with mirror stem on the motorcycle. To remedy this situation, Oxford has provided a PVC washer and instructions on how to pierce the top side of the muff so that the mirror stem may pass through. See instructions included with Muffs for further information. Always be sure that your thumb controls and cut-off switch are not to close or blocked by the Muff. If the controls can not be easily operated then reposition the Muff further inwards on your handlebars. The Oxford Muffs will not fit on bikes with larger hand controls.